With the proverbial global village shrinking on an almost daily basis, and with communications and transactions getting ever faster and more efficient, businesses need to invest in the best tools in order to keep up with the competition. No company these days can afford not to be at the cutting edge of communication. Most businesses are aware that they must have the best technology available in order to boost sales and operate most efficiently. When it comes to telecommunication between employees, many companies like to use the Microsoft Exchange system because it provides a fully integrated system for emails, calendars, and contact databases. Employees can quickly and easily share and store information, whether at their desks or on the road, by using their smartphones and BlackBerrys. Since it is such widely used software, it is also likely that new employees will be familiar with it, so there is no time wasted in retraining people. However, the Microsoft Exchange software may be expensive to purchase and set up. This is why many local businesses are looking for a Hosted Exchange Provider in Miami turn to Telx Computers in order to take full advantage of their hosted exchange packages. Telx Computers, one of the industry leaders in IT service in Miami, announces new hosted exchange packages that give companies the greatest communication capabilities at the best ever value. Businesses can choose a package that best suits their needs, selecting how many gigabytes they need and how many seats they want. Once they have a hosted exchange installed and set up, a business can take advantage of free expert support provided by Telx Computers. The team of experts at Telx Computers will address any maintenance issues, either remotely or on site if necessary. 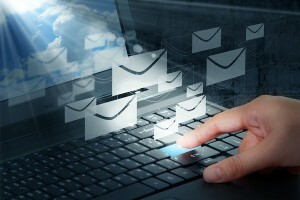 A hosted exchange system from Telx Computers enables a company to have free virus and spam protection on all email accounts, as well as the latest back up and data recovery technology available. This is made possible because Telx Computers has a team of experts monitoring their servers around the clock, which enables them to pick up on any issues before the end user is even aware of them. The company also uses and installs the very best firewall protection for all clients who require it. This system is known as SonicWall. Every employee can access their email, calendar and contacts from anywhere, and a range of other online collaboration tools helps colleagues communicate with each other when in separate locations. Telx Computers is also widely known locally for providing an excellent computer repair service in Miami. Because of this first class reputation for service and efficiency, when local businesses search for computer repairs in Miami, they will often find that Telx Computers appears near the top of most local listings.